Yet another autism wordplay, this time centered around disability and ability. 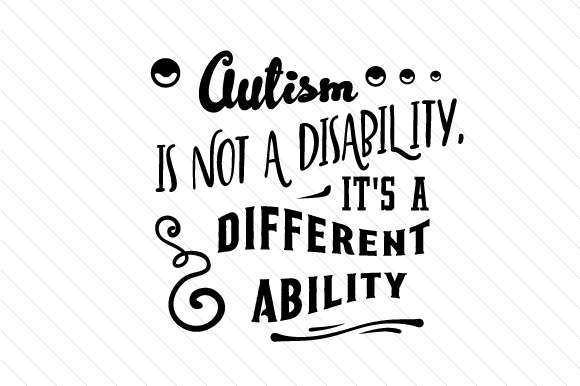 If you agree that it is all a matter of perspective, perhaps you’d like to pay your tribute with this autism motivational quote to anyone who takes care of an autistic child or a person with special needs. All the crafts out there can serve as a kind gift and with this word art print attached to it, the message will go straight to the heart.